We answer your specific needs and provide durable and tailored services to your new challenges. For us, progress is an enduring commitment to our clients and the provision of economically, technically and technologically revolutionary solutions. Our development is based on our capacity to innovate, as well as an ambition to provide safe and reliable equipment and services, for which we ensure continuous service and seamless integration. We respect and value your project, and support you all along its lifecycle. Our engineers and technicians, as well as our sales and logistics departments are your performance guarantee, and the basis of your trust. Our quality work, precision and experience enable us to operate for cutting-edge industries. Everywhere we work, our passion for excellence drives your success. 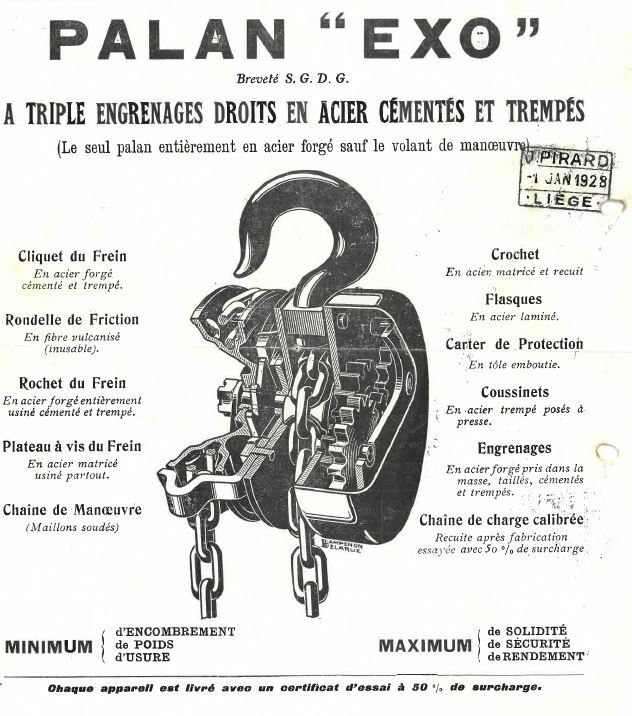 Our history begins in 1927, with the foundation of BONVILLAIN RONCERAY TECHNOLOGIES which was at that time the first French manufacturer of manual hoists and trolleys. 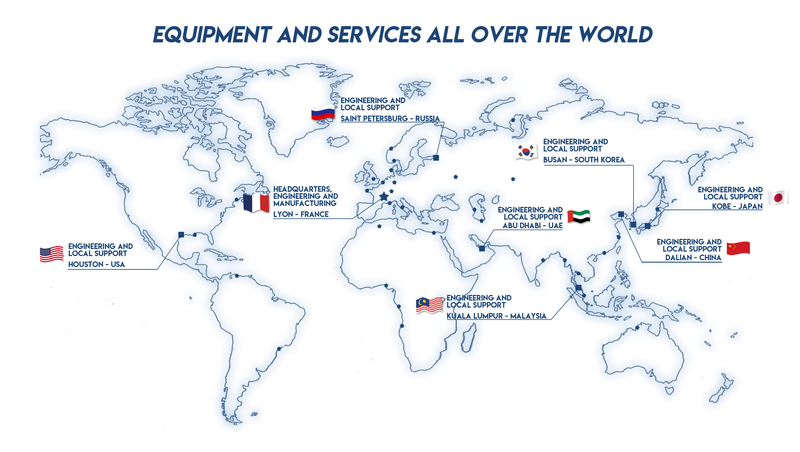 In 1990, driven by extensive expertise and strong skills, the company shifted to the design, engineering, manufacturing, installation and maintenance of lifting and handling equipment for leading industries such as Oil & Gas (offshore and onshore), Nuclear, Military and Naval, and finally became EXO INTERNATIONAL. Today, EXO INTERNATIONAL represents more than 120 million hours of skills in lifting and is well known globally for delivering high quality and customized solutions, which answer to very specific needs. 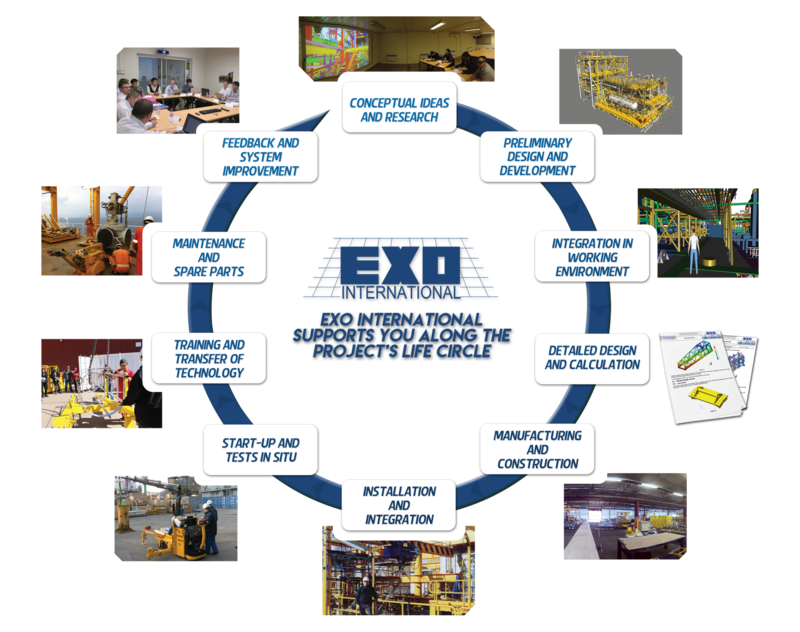 EXO INTERNATIONAL is well-known globally for delivering high-quality lifting & handling EPCM services and equipment all along the project’s life cycle. 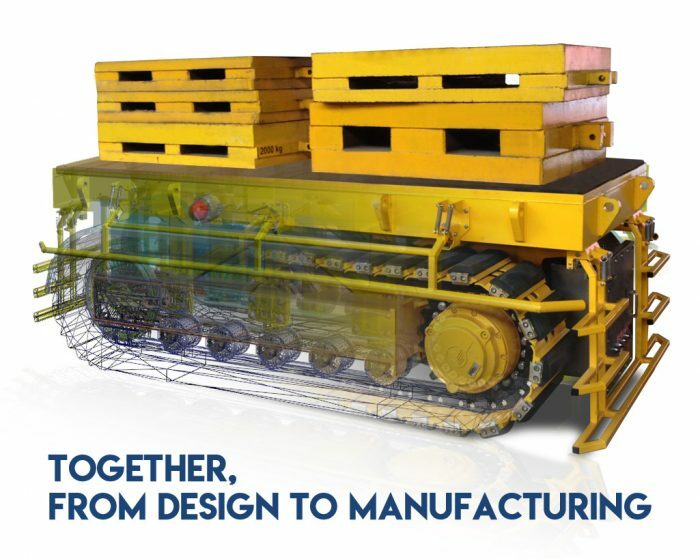 With extensive knowledge of handling operations and in-house design capabilities, EXO INTERNATIONAL is fully committed to developing new products and systems that provide its customers with customized, cost-effective and efficient solutions. Contact our sales department for a reference list tailored to your requirements or click here to have an overview of our areas of expertise with our main references.